I got this app because I loved & used the website so much. It has a few different rain environment(?) settings.. ocean, classic, cafe & country side.. the particular sounds can be customized to your liking (i.e. you can turn the thunder down or make it louder than the rain/other sounds in comparison). It plays in the background so it doesn’t stop with the pause/play as the music app would in the control center which I actually like. I can’t even remember how much I paid for it - $2 or $3. I wish it had more rainy settings like some others have said rain on the window, or a more intense thunderstorm, or even another version of the classic sound. You can tell it’s the same (short) track on repeat but it’s calming nonetheless. Android phones give you all this and then some for free :( ... overall not bad. I never pay for apps, but Rainy Mood was well worth the $3 price tag. 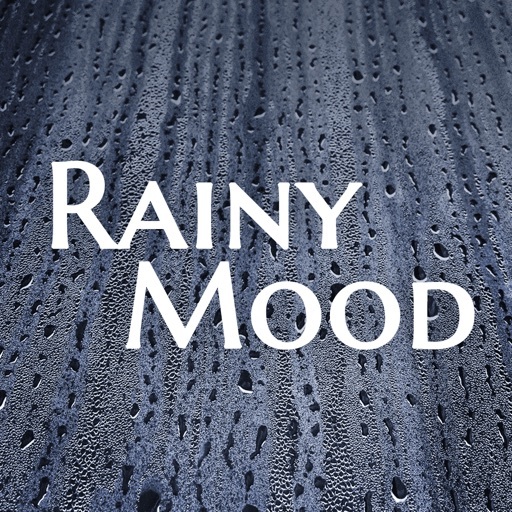 I’ve loved Rainy Mood since it was just a website back in 2007/2008. I work in an office where I can have headphones in all day, and sometimes office life can get pretty stressful. I put on Rainy Mood, which allows Spotify or Audible to run concurrently, and wrap my blanket around myself and de-stress. I love that each environment has a different kind of rain, and that it waxes and wanes as real rain does. I can’t recommend this app enough - my two favorite work friends also use Rainy Mood! 100% recommend. Would give 6 stars if I could. Thanks Rainy Mood! 10/10 ⭐️⭐️⭐️⭐️⭐️ Works the best for the apps I’ve had. Love the Rain and Thunder sounds! Currently, I’m studying to the MCAT, so most of my time is spent locked in my room or library. I use the Cafe setting with low chatter and it just feels cozy. It’s like I’m in a nice cafe, really rainy outside, not too many people, barista doing their stuff, a car that passes by once in a while. Really immersive, totally gets me in the studying mood.